Recently I've been watching/obsessing over Nashville. Now, stop it. I started because a good friend of mine, who doesn't really like country music, said she enjoyed the show...and the tunes. So I figured I might as well give it a shot. While the music doesn't necessarily blow me away (even with T Bone Burnett at the helm), and while I do enjoy watching all of the gorgeous people make eyes at each other (including Chip from Whose Line! ), and the writing is amazing, what I find most fascinating about the show is the way the characters view music as a business proposition. Sure, they all want to make good music. Sure, they all love making music. And yes, they want to record "real" music...as long as it sells a bunch of records. They'll bang out songs to fill the album, because music is something they're good at it, even if their heart isn't in it. And the reason that's fascinating to me is that I've been surrounding myself with artists like Jeremy Squires, who pour their souls into their microphones and will simply not accept mediocrity. Squires' songs often focus on his struggles with maintaining his mental health, so there's no emotional wishy-washiness here. But it's not just Squires' passion. 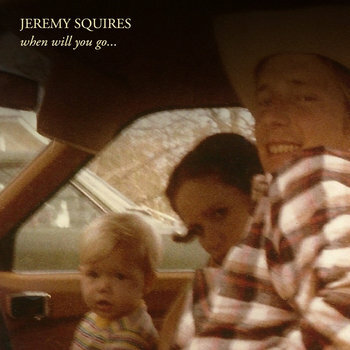 Squires and his backup band are genius at taking what ought to be simple songs and tossing in a strange guitar riff or ear-catching harmonies. The result is beautiful and a little unsettling. It's the kind of music those Nashville hacks would give their strumming hands to write just once.